Art Lebedev hoped to launch their new Optimus Popularis keyboard before the end of 2010 but unfortunately didn’t make it and has now announced it will be more like the middle of 2011, due to the recent economic unrest. 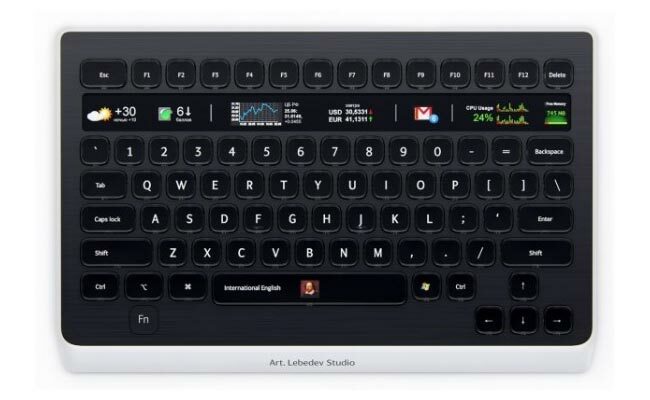 However Art Lebedev has unveiled that before the Optimus Popularis arrives they we be launching their new Optimus Mini Six keyboard. The Optimus Mini Six is expected to have 6 programmable buttons, twice the amount of their current Optimus Mini Three. But unlike the Three the Mini Six will have LCD panels and means Art Lebedev can fit a higher resolution, 64 x 64 screen into physically smaller keys. I know its not even close to a full Optimus Popularis keyboard but as soon as any information is made available about its launch date or prices we will update you.